Invisalign® is a modern way of straightening teeth that uses a clear set of aligners customized exactly for your teeth. 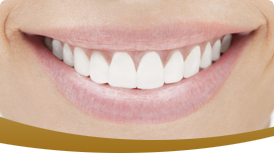 These aligner trays, or clear braces, are comfortable to wear and virtually invisible because they’re made of smooth plastic that you wear over your teeth. Wearing the Invisalign® aligners gradually and gently shifts your teeth into the correct position. There are no hard metal brackets or tight wires on your teeth. Approximately every two weeks, you will begin wearing a new set of aligners, advancing you to the next stage of your treatment. To monitor your progress, Dr. Holt will see you every six weeks. For best results you should wear your aligners for 22 hours per day, bringing you to a closer smile that reflects the real you. Normally, if your insurance covers traditional metal braces, clear braces are also included as orthodontic coverage. Invisalign® is an easy way to achieve a beautiful smile makeover, and hardly anyone will even know that you’re straightening your teeth. Dr. Holt is not only a certified Invisalign® dentist, he was recently recognized as one of the Premier Invisalign® general dentists in Dallas and Tarrant County for his innovative orthodontic treatment. If you’d like to learn more about Invisalign®, call our smile consultation team at (817) 488-2273 or book an appointment online.